France has nearly 150 ports on the Mediterranean coast from Spain to Italy. From Cerberus, first French port to the Spanish border, up to Menton, the last port before Italy, the best places to visit in france succeed, welcoming tourists in search of sun and enjoying the luxuries of the French Riviera. A cruise to discover beautiful Mediterranean cities do not allow you to dock in all ports of southern France, you would anyway not have time! For a Mediterranean cruise, you can not abstain to discover the jewel of the French islands : Corsica, so called "beautiful island". If Corsica was a puzzle, Ajaccio would be the most colorful part. On these shores rich European tourists, attracted by the mild climate, were on holiday in the nineteenth century. Boats and red lines compose a charming picture! Gulf ringed by mountains, white sand beach of 5 km, sea and marina protected by the famous citadel, Calvi looks like a jewel with its outdoor cafes, restaurants and shops. Steering the continent starting from the port of Menton. With 216 days of sunshine a year, Menton offers the ultimate jewel of the French Riviera. The city swarms of colorful houses between sea and mountains, combining Baroque and Belle Époque, landscaped gardens and medieval streets. Views from the old port, houses evoke a basket full of oranges, mandarins and lemons ...! Further west, you find the city-state of Monaco and its famous Rock overlooking the port. Reputed to house the biggest luxury cruise ships in the world, Monaco is also known for its princely family and luxury. Next to Monaco Nice is the fifth largest city in France and known for its beautiful Bay of Angels, palaces Belle Époque and its Promenade des Anglais. 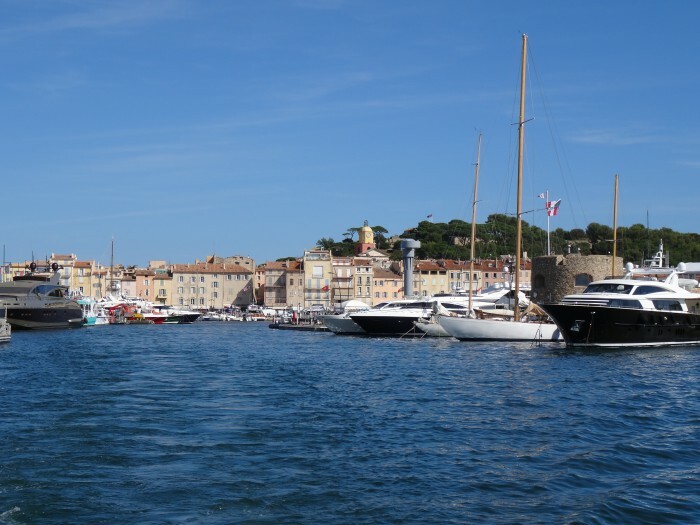 Saint-Tropez attracts about 6 million visitors a year, but this town emblem of the French jet set does not mean unnatural. The pastel facades of the houses compose a charming picture that fails to spoil the alignment of gleaming yachts.